Sometimes one of our greatest challenges as educators is to find the thing that "hooks" that student in. For some of my first graders their love for reading is discovered during our Mo Willems unit. For others it is when they see the real photographs of a shark mouth in a National Geographic for Kids. The love is unlocked for some in their homes, while others just cannot seem to find a type of book that "sells" them on reading. My classroom library grew as I learned about the interests of my students. Fancy Nancy, Ladybug Girl, sports books, car books, tornadoes/hurricane/weather books, joke books, cookbooks....the list goes on. I thought that I was hitting the variety of genres available. Then my daughter came along. She seemed to be born with the love of all books. It didn't seem to matter what I put in front of her, she would analyze it, love it, read it again and again. 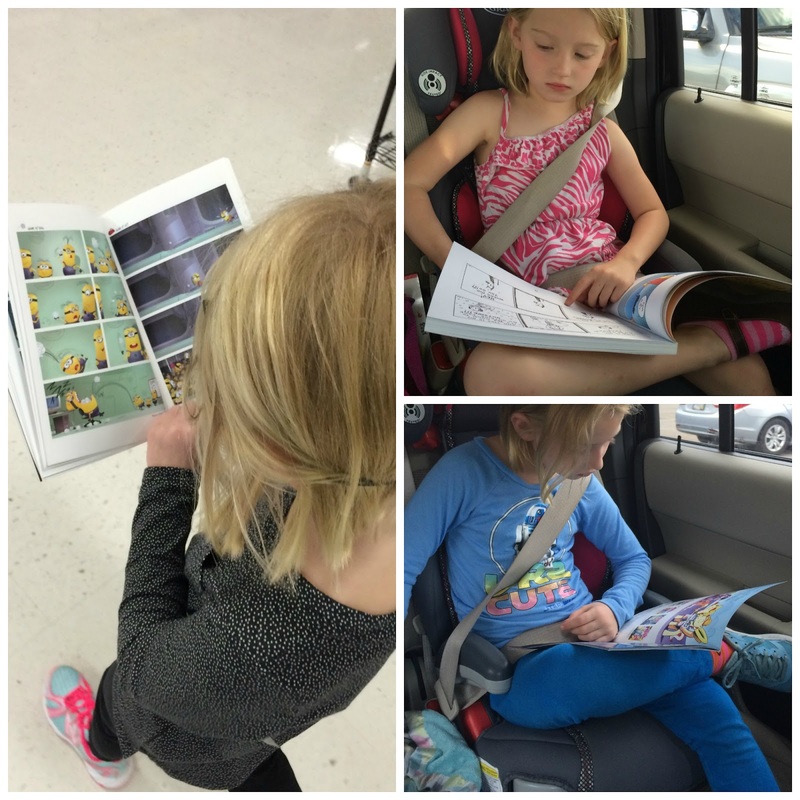 But as she grew (currently a first grader), she found her true love: graphic novels and comics. This discovery opened my eyes to what I was not providing to my students. 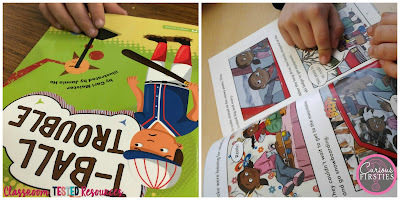 When I started to dig deeper into this genre, there is a variety of texts out there that appeal to our young learners. My school purchased graphic novels for our leveled reading library. 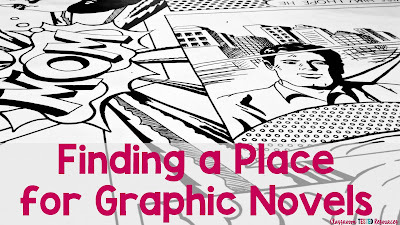 Each book begins with a page that explains how to read a graphic novel. My guided reading groups LOVE them. They are always asking for more! 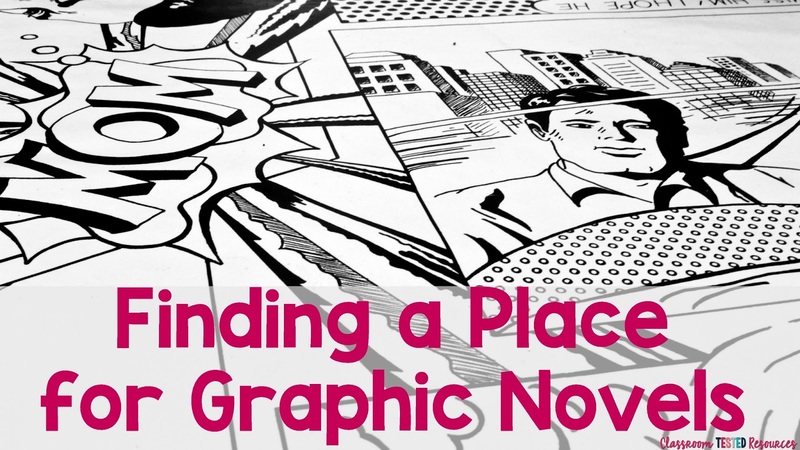 If you are interested in adding more graphic novels into your library, there are several different places that I have found for this need. My First Graphic Novels: These are leveled readers set up as graphic novels. Capstone: They provide leveled super hero comics and graphic novels. Papercutz: This site has an AMAZING collection of comics for Disney characters, Lego series, and other high interest topics. Balloon Toons: These are simple comics for young readers. Is this a type of text that you think your students would enjoy?